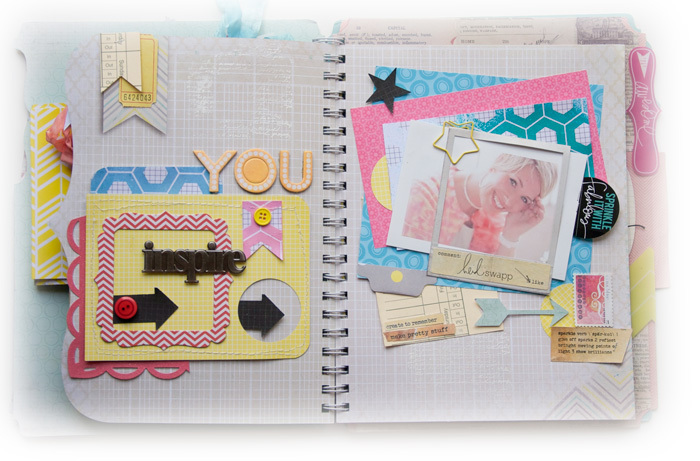 Memory File Adventure with Heidi Swapp contines, and how could I possible do an inspiration section and not include her? Any of you who follow me, know that she inspires me in most of my crafty life. 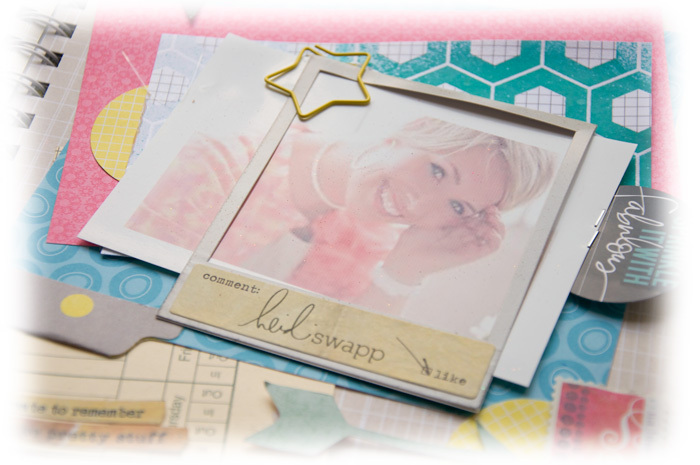 If I am not using a Heidi Swapp project, then I am certainly using at least a part of one of her creative ideas. 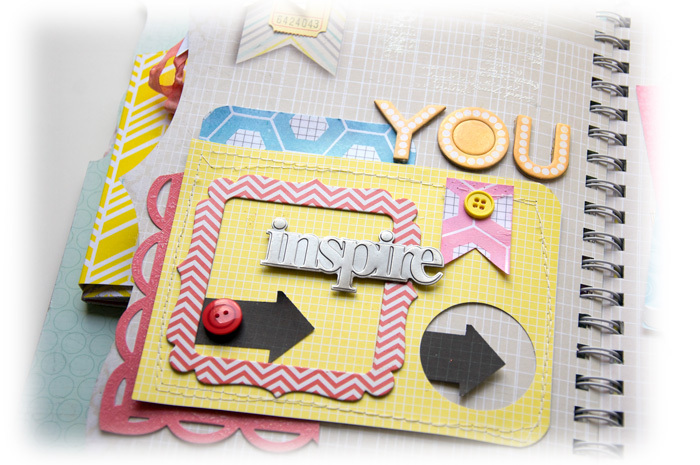 On this page I used a mod podge of products. A little Heidi Swapp Serendipity, some Heidi Swapp Sugar Chic, and a few odds and ends from my color drawers. Here is a closer look at Heidi's page.